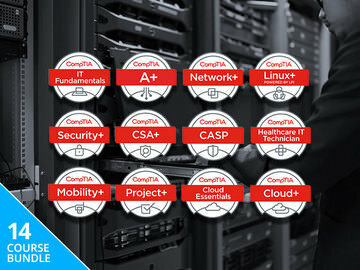 Give your IT career a boost with the Complete 2018 CompTIA Certification Training Bundle. 14 courses cover the most common hardware and software technologies in business, and the skills necessary to support complex IT infrastructures. The courses are designed to help you study for sitting the various CompTIA certification exams. The bundle is on sale for $59.